” The Romanian – Ukrainian Civil Society Forum for Dialogue and Cooperation”. The project is supported by the Black Sea Trust for Regional Cooperation, a project of the German Marshall Fund. The development of formal discussions between Romanian and Ukrainian experts in an organized form – a bilateral Civil Society Forum for Dialogue and Cooperation, aims to provide continuity of the dialogue among different actors interested in the development of the bilateral partnership on specific, pragmatic and relevant issues for both sides. Our aim through the first edition of the Forum is to address threats and common challenges to our national interests. To organize public thematic meetings, depending on the priorities of the bilateral dialogue, identified as such by the working group. The third element relates to the external work of this working group, namely, to communicate transparently to the interested public new elements of the bilateral dialogue, as well as to positively influence the cooperation between the public institutions of both states. The Project goal is assistance in the increase of the potential of cooperation and political influence/role of expert community and civil society actors, elaboration of common perception of goals, objectives and threats (including hybrid threats and informational warfare) in the region, further strengthening and widening of the contacts between the experts and civil society activists and sharing best practices in tackling the aforementioned issues by reloading the format of the annual bilateral Romania-Ukraine Civil Society Forum in Bucharest and its regional side event in Iasi. To assist direct contacts between the politicians, governmental officials, experts, researchers and journalists from Ukraine, Romania and the Republic of Moldova, who support bilateral cooperation and further cooperation in the region of Central Eastern Europe and the Black Sea with the support of a medium-term press monitoring mission established within the project for the main issues of the bilateral relationship and the development of useful analyzes. 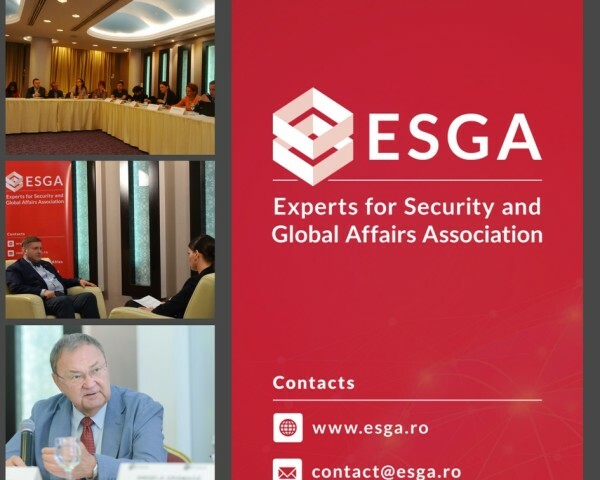 The Experts for Security and Global Affairs Association, as leading organization in partnership with the Institute for European Policies and Reforms (IPRE), the Georgian Institute for Strategic Studies (GISS) and New Europe Center (former Institute of World Policy (IWP)), organized between November 14 – 16, 2018 in Bucharest, Romania, the second edition of the Eastern Partnership Think Tank Forum dedicated to ”A New Security Agenda for EaP. The Regional Approach”. The event is part of the project the project EaP Think Tank Forum 2018 – A New Security Agenda for EaP, The Regional Approach, implemented in cooperation with the Eastern Partnership Civil Society Forum (EaP CSF), funded by the European Union from the EaP CSF re-Granting Scheme 2018. 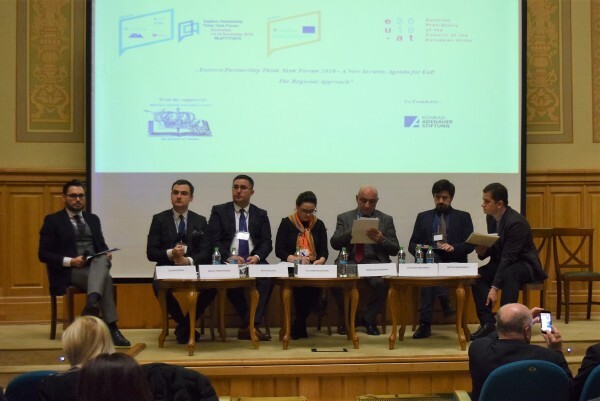 The Bucharest edition of the Forum was held under the auspices of the Austrian Presidency of the EU Council and benefited from the support of the Central University Library ”Carol I”, the Romanian Ministry of Foreign Affairs, and co-financed by Konrad Adenauer Stiftung (KAS). The overall aim of the project was to contribute to the strengthening of policy and advocacy capacities of the Eastern Partnership Civil Society Forum think tank network – to propose a comprehensive vision over the EaP security agenda, in light of EaP 2020 Deliverables. Prior to this year’s edition of the EaPTTF, a group of well-known experts have prepared a comprehensive policy paper of the EaP security sector that includes also a set of recommendations to feed in the debates on the implementation of the EU Global Security Strategy in the context of the EaP 2020 deliverables and agenda for the next term of the European Commission (2020-2024). 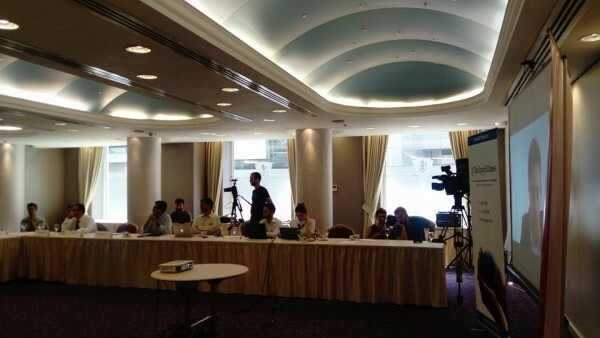 The paper and the recommendations were discussed during the EaPTTF edition in Bucharest. We would like to get into your attention the policy paper ”A new security agenda for the Eastern Partnership: Assessing the key security risks for the EU, Georgia, Republic of Moldova and Ukraine”, which will be promoted to the EaP and EU governments during 2019. The authors underline multiple perspectives for analyzing the security challenges of their home countries from both national, with emphasis on domestic problems, and regional challenges that are highlighting the external threats and vulnerabilities. All these challenges require a common, systemic approach in each of the three countries – Georgia, Moldova, and Ukraine. By including a chapter dedicated to Romania in this paper, the project implementation team wanted to argue that a member country of the European Union also needs resilient institutions and firm decisions from the authorities in this regard. Changes to which the region is currently undergoing requires a comprehensive, comparative and responsible analysis of new vulnerabilities and threats. The recommendations proposed by the authors are also organized in two directions of action: national – for their own governments and international – for the European Union. Project partners will continue to monitor public policies, will continue advocacy measures at national and international level, and will ask for consistency in security decision making. We wish you a pleasant and useful reading, and we look forward to meeting you on the social media pages of our project partners to continue our collaboration and debate future joint initiatives. Eastern Partnership Think Tank Forum, 14th-16th of November, 2018. Bucharest, Romania. Over 25 top-notch experts from both Eastern Partnership Countries and the European Union together with almost 100 participants will gather in the second edition of the Eastern Partnership Think Tank Forum. The event will address the current challenges and future perspectives of the European Unions Eastern Partnership policy. The Bucharest edition is the second one, and it is organized by Experts for Security and Global Affairs together with the Institute for European Policies and Reforms, Republic of Moldova, the Georgian Institute for Strategic Studies, and New Europe Center, Ukraine. This event aims to further develop the Eastern Partnership Civil Society Forum’s network of think-tanks in order to propose a comprehensive, national and regional vision over the security sector of the Eastern Partnership in the light of the 2020 deliverables. The principles of liberal democracy are seriously threatened by Russia’s information war and its open support for the accession of extremist, populist or so-called “traditionalist” political parties in Western countries. Moscow has managed to mastermind social movements, to set the agenda of public debates and to infiltrate security and political groups in both EU and NATO countries. At the same time, Russia has successfully advanced its irredentist agenda and derailed the reformist processes in the Eastern Partnership countries. Russia has become a model for the establishment of “one-party rule” in the region. In its endeavor, Russia uses the advantages of technological innovations and the local fertile social and political ground of each country. Russia’s subversive activities are also facilitated by the poor knowledge (and expertise) on the political and security developments from the CIS countries and the mentalities inherited from the communist era. The space for debate is influenced by a lack of knowledge about the realities faced by various state actors in the Former Soviet Space. This was highlighted during the crucial events in the region: the annexation of Crimea, the aggression in the East of Ukraine, the results of the elections in R. of Moldova, or the potential slippage of Georgia from democratic processes as a result of the adoption of the new constitutional amendments. The decision-making process and the public debates are deeply influenced by a distorted picture of the realities in Russia (and the CIS countries) and are an easy target for propaganda and other subversive actions. This aspect was also highlighted by the participants who attended our previous debates (organized within the project “Dialogues with Russia for a new generation of experts,” implemented by ESGA). Our audience appreciated the access to both Russian and Western expertise. Through the current initiative, we want to expand the dialogue on Russian affairs. ESGA’s staff also intends to offer the public a new opportunity to monitor and understand the challenges faced by Russia and other CIS countries. a) To provide an opportunity for an open and comprehensive dialogue about Russia’s successes and its failures through one unique platform for debates and analysis. b) To present an accurate analysis of Russian social transformations, and Moscow’s economic and military capabilities, Moscow’s foreign policy using the opinions and expertise of reputable analysts and intellectuals from both Russia and European countries. c) To create a group of young experts, intellectuals, activists, and politicians, concerned with the influence of Russia’s regime and its simultaneous actions aimed at weakening the Western democratic systems. Europe’s fundamental security principles and the values of liberal democracy come increasingly under the pressure of Russia’s subversive or aggressive behaviour. Crimea’s annexation and the ongoing war in Eastern Ukraine are questioning the viability of the European integration project and the Euro-Atlantic peace and security architecture (especially in the Black sea area, Baltic States and Poland). Moreover, Russia’s support for anti-immigrant, populist and extremist parties in Europe has proved its efficiency in fragmenting the European Union. The pro-Brexit vote will deepen the division within the EU, which is about to lose London’s strong critical voice towards Moscow. Furthermore, Russia is attempting to restore its role as a leading world power. The ongoing war in Syria was skilfully used to reach this objective. Western states have directed their funds and intellectual efforts mainly to support the diplomatic and journalistic expertise on Arab and Asian political and security developments. At the same time, the EU former communist members have focused their efforts on the process connected to EU accession negotiations and NATO membership. As a consequence, most of the EU or NATO states lack the adequate expertise and knowledge for addressing Russia’s aggressive behavior and subversive actions. Nowadays the majority of EU states don’t have the relevant expertise and comprehensive knowledge to prepare the groundwork for a new agenda in their relations with Russia. This collection of studies aims to explore the most important political and security developments in Russia after Crimea’s annexation. At the same time the our efforts are focused on proposing policy recommendations for authorities, media outlets and civil society from both EU countries and Russia. Starting with April 2017, we are launching ESGA Q&A project which is part of the communication platform of Experts for Security and Global Affairs Association. Our aim is to bring experts opinions, views and analysis closer to our audience. Through ESGA Q&A project, our goal is to become a dialogue facilitator by discussing a wide range of topics with our expert guests. Although all the views and opinions of the guest speaker belong to the author and do not necessarily represent those of the ESGA or its partners, we do believe that such an initiative will lead to a better understanding of the regional security and foreign policy developments. 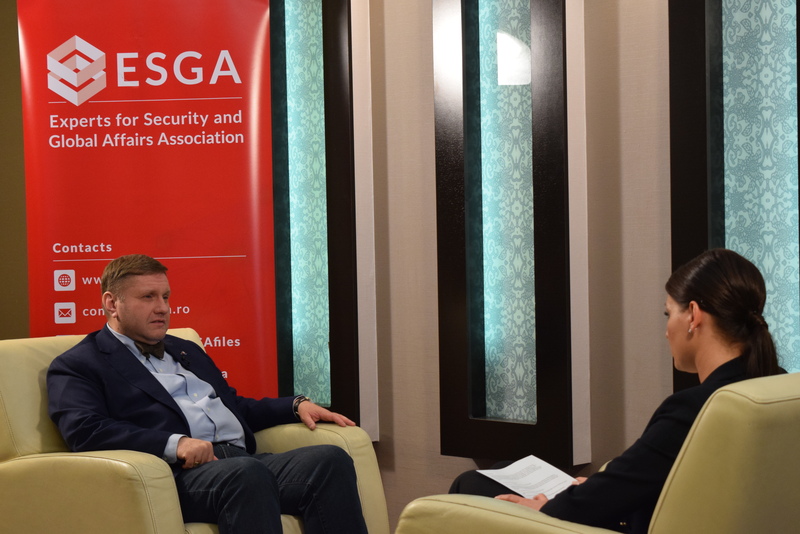 ESGA’s Q&A first guest was Mr. Konstantin Von Eggert, Russian media personality, former diplomatic correspondent, programme host and commentator at TV Rain, Moscow. This interview was realized in Bucharest on March 31 2017. Konstantin von Eggert was the main speaker to the debate „Russian Foreign Politics Perspectives for Stagnation or Change during Putin’s Last Presidential Term” The debate was included in the „Dialogues with Russia for a new generation of experts project”, financially supported by The Black Sea Trust for Regional Cooperation, a project of the German Marshall Fund. Europe’s fundamental security principles and the values of liberal democracy come increasingly under the pressure of Russia’s subversive or aggressive behavior. Crimea’s annexation and the ongoing war in Eastern Ukraine are questioning the viability of European integration project and the architecture of Euro-Atlantic peace and security (especially in the Black sea area, Baltic States and Poland). Moreover Russia’s support for anti-immigrant, populist and extremist parties in Europe has proved its efficiency in fragmenting the European Union. The pro-Brexit vote will deepen the division of EU which is about to loose London’s strong critical voice towards Moscow. Furthermore Russia is attempting to restore its role as a leading world power. The ongoing war in Syria was skilfully used to reach this objective. Most of the EU or NATO states lack the adequate expertise and knowledge for addressing Russia’s aggressive behavior and subversive actions. This initiative aims to create a new basis for an enhanced and pragmatic dialogue among young experts from EU and NATO member countries and Russian Federation. A series of 5 debates with over 20 experts as panel discussants (1 Russian expert and 1 European expert for each debate) and over 100 participants as public (20 persons per debate) will be organized. The public will be selected among young Romanian decision makers, academics, experts, journalists. The event will gather academics, civil society activists, experts and journalists to mirror the current state of affairs and to draft proposals aimed at setting a new agenda for a dialogue with Russia. The events will give a background for a process of getting to know each other for Romanian and Russian young generation of experts. The initiative will also benefit the authorities from both Romania (and its Euro-Atlantic partners) and Russian Federation. The project will be implemented from November 2016 until October 2017. The Role of Russian Civil Society in Foreign Policy Decision Making. A Comparative Analysis with Republic of Moldova and Ukraine. The ongoing project “The role of Russian civil society in foreign policy decision making. A comparative analysis with Republic of Moldova and Ukraine (November 2014 – October 2015)” is a Collection of policy briefs, round tables and study visits The initiative is implemented with the financial support of Black Sea Trust for Regional Cooperation, a project of German Marshall Fund. The main goal of this project is to produce policy recommendations aimed to enhance the dialogue between authorities and civil society entitled with foreign policy tasks (actions) from Russian Federation, Republic of Moldova and Ukraine. 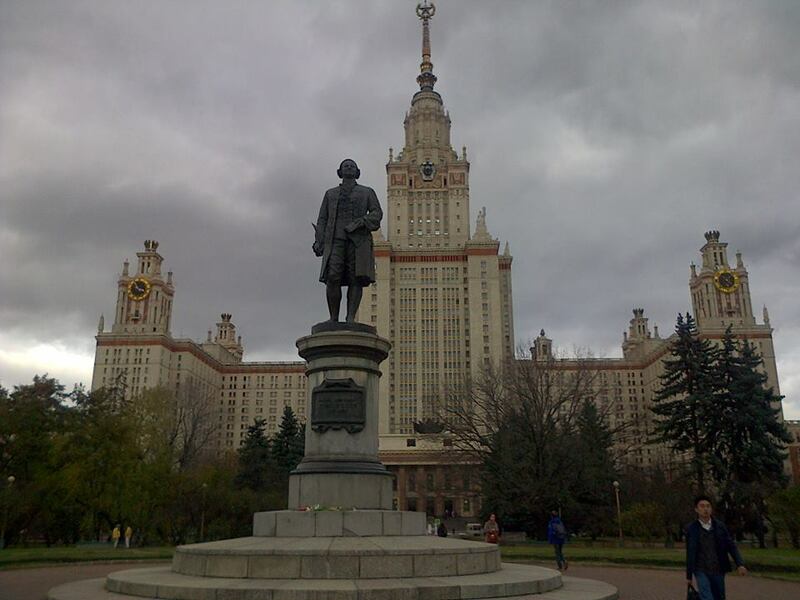 The second task of the project is to provide a model for the analysis of civil society influence upon foreign policy in the former soviet space. – To make recommendations for Russian, Ukrainian and Moldovan foreign policy experts and decision makers. Our study is focused on specific case studies (the debates over the partnership with EU, CIS, US and NATO). We aim to explain how civil society manages to be involved in foreign policy decision making process. The study also tries to assess how the dialogue between civil society representatives and has evolved in the period 2008 – 2014. The above mentioned period was chosen because it marks important events on the EU – Former Soviet Space agenda: the launch of Eastern Partnership and the proposal of Russian President Vladimir Putin to create Eurasian Union (Eurasian Economic Union). In order to achieve its goals the study uses qualitative methods: document analysis, discourse analysis and semi-structured interviews. Representative persons for certain socio-professional categories will be considered for interviews (professors/teachers, MPs, representatives of public institutions, journalists, political and economic analysts, and experts from think tanks). Therefore, we would look at how the Russian actors from the Civil Society Organizations see themselves in relation with the policy makers. Target group(s): think tanks, civil society representatives and NGOs involved in foreign policy debates from Russian Federation, Republic of Moldova and Ukraine. Beneficiaries: civil society and governmental organizations, decision makers, stakeholders who are interested in promoting business interests.